Video emerged on Sunday of the moment an Israeli sniper shot a Palestinian cameraman in the stomach while he was covering a protest at Ofer prison on Friday. 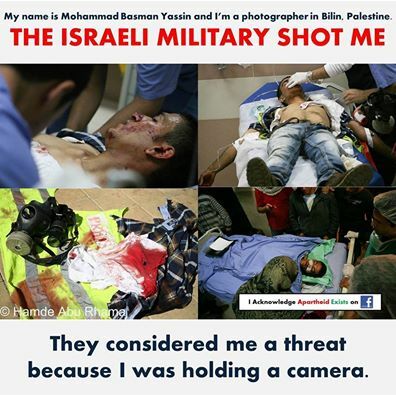 Israeli security forces shot and injured Mohammed Basman Yasin, a volunteer cameraman for the Israeli human rights organization B'tselem, while he was filming a protest in the West Bank city of Beitunia, according to Israeli website +972. The video, which could not be independently verified, appears to show Palestinian protesters sitting on the road when Israel forces arrive and begin firing tear gas canisters at them. 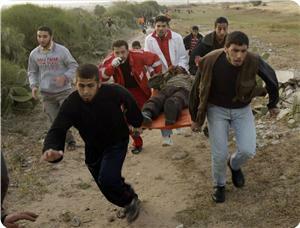 other scenes activists can be seen walking towards an ambulance when Israeli forces open fire without warning in their direction. At 5:30, meanwhile, two activists can be seen throwing rocks at the heavily-armed Israeli soldiers, when the video cuts to a scene showing Yasin, who is at the back of a large crowd watching the scene, being shot in the stomach. Israeli forces caused severe damage to his internal organs, and according to B'tselem, doctors have said they may be forced to remove his liver and kidneys. Yasin is currently hospitalized in Ramallah. The clashes took place near the Israeli Ofer prison, located in the occupied West Bank, in protest against the Israeli government's refusal to release a fourth group of veteran Palestinian prisoners it had previously agreed to release as part of ongoing US-sponsored negotiations with the PLO. 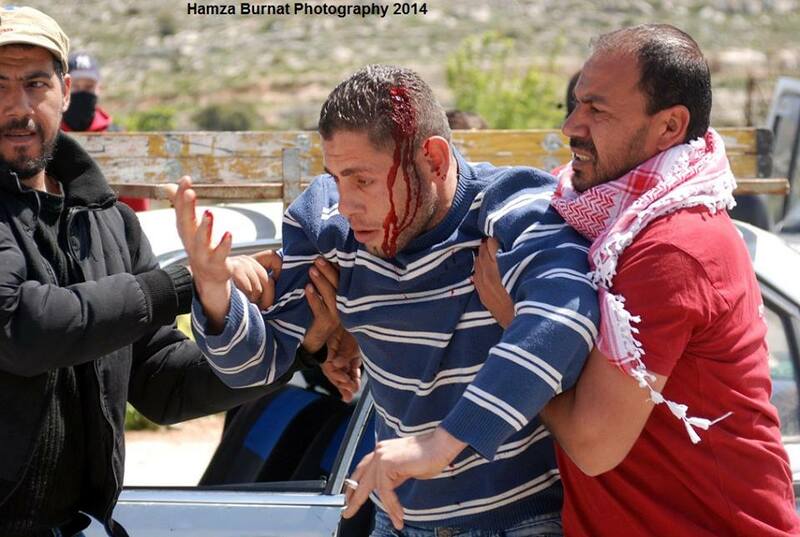 13 were reported injured during the clashes, including seven with live bullets. An Israeli army spokeswoman told Ma'an that Israeli forces fired at "rioters" who threw rocks and burning tires at security forces, "lightly injuring" five. 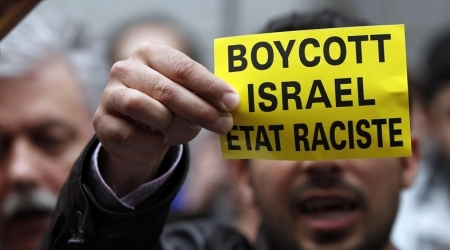 The National Union of Journalists (NUJ), the trade union for journalists in the United Kingdom and Ireland, will vote next week on a proposal for a boycott of Israel described as racist state. The proposal described Israel by Apartied system in south Africa and urged the executive committee n the NUJ to boycott the goods of Israel, according to Jewish Chronicle newspaper. The proposal also calls on the executive committee to support the British lecturers who refused to cooperate with the Israeli education establishments, and describes Israel as a racist state for its refusal to grant the Palestinians the rights of return to their home. Israeli occupation forces (IOF) used brutal force to quell a peaceful demonstration for Palestinian youths near Ofer prison west of Ramallah on Friday. The PIC reporter in the area quoted eyewitnesses as saying that seven young men were hit with live bullets while two others were treated for suffocation due to excessive inhaling of gas. They said that the soldiers attacked the participants while offering Friday prayers triggering clashes with the young men. The sources said that army choppers were seen hovering over the scene as the soldiers fired a barrage of teargas canisters. They said that a number of young men tried to advance toward the Ofer prison but the soldiers showered them with bullets and teargas. As Hundreds of Palestinians fathered near the Ofer Israeli detention facility, near the central West Bank city of Ramallah, demanding the release of Palestinian detainees and an end to the occupation, Israeli soldiers opened fire at them injuring dozens of Palestinians, including Palestinian cameraman Mohammad Basman Yassin of Bil’in village. The Palestinians started their nonviolent activity by conducting Friday prayers near the prison compound, before the soldiers opened fire at them. 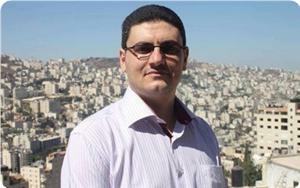 Medical sources said that Yassin was shot with live rounds in the chest, and was moved to a local hospital in Ramallah. Dozens of Palestinians suffered the effects of tear gas inhalation, while several others were also shot with live rounds, and dozens were injured by rubber-coated metal bullets. Ofer Israeli prisons and detention facility is built on Palestinian lands that belong to residents of the Betunia nearby town. The protest was held after the Israeli government of Benjamin Netanyahu voided the release of the fourth phase of veteran Palestinian prisoners, held by Israeli since before the first Oslo Agreement of 1993. The Israeli attack against the nonviolent protesters pushed dozens of young Palestinians to throw stones and empty bottles at the soldiers. The army also pushed dozens of troops into the area to attack the protesters while army choppers hovered overhead. Palestinian medical sources have reported that dozens of Palestinians have been injured, including several residents shot by rounds of live ammunition, after Israeli soldiers attacked nonviolent protests in different parts of the occupied West Bank. Medical sources in Kufur Qaddoum, near the northern West Bank city of Qalqilia, said that dozens suffocated after inhaling gas fired by the army when the soldiers attacked their weekly protest demanding Israel to reopen the main road of their village that the army closed 13 years ago. Morad Eshteiwy, coordinator of the Popular Committee against the Wall in Qalqilia, said dozens of soldiers attacked the nonviolent protesters from different sides, and fired gas bombs, concussion grenades, rubber-coated metal bullets, and several rounds of live ammunition. The protesters marched denouncing the ongoing Israeli violations and crimes against the Palestinians people, Israel’s refusal to release the fourth phase of veteran detainees, and its ongoing and escalating illegitimate settlement construction and expansion activities. In Bethlehem, several Palestinians suffered the effects of tear gas inhalation after the soldiers attacked the weekly protests at the northern entrance of the city, near the illegal Annexation Wall in the area. The protesters, including political leaders and representatives several organizations, marched close to the Caritas Hospital, and held Friday prayers before marching towards roadblock #300, north of Bethlehem, carrying Palestinian flags, and posters, and chanted for the liberation of Palestine and the release of all political prisoners held by the Israeli occupation army. The soldiers attacked the protesters, fired gas bombs and concussion grenades at them, and violently assaulted several journalists. Also in Bethlehem, soldiers assaulted nonviolent protesters holding their weekly protest against the Annexation Wall and settlements in the al-Ma’sara village, and prevented them from reaching their orchards. In Ramallah, dozens of Palestinians were injured, some with live rounds, after the army assaulted nonviolent protesters near the Ofer Israeli military prison. At least two journalists were injured, one of them, Mohammad Basman Yassin, a cameraman from Bil’in nearby village, was seriously injured after being shot in the chest. Thirteen Palestinians were injured in clashes with Israeli forces near Ofer detention center in Ramallah on Friday, onlookers said. Seven people were shot with live bullets, a Ma'an reporter said. Five were hurt with rubber-coated steel bullets. A journalist was struck in the back with a tear-gas canister. The clashes broke out after Israeli forces attacked Palestinians who were performing Friday prayers there. The afternoon prayer was held near the detention center to protest Israel's refusal to release to a fourth group of veteran Palestinian prisoners. Palestinians responded by throwing rocks, the Ma'an reporter said. An Israeli army spokeswoman said forces fired at "rioters" who threw rocks and burning tires at security forces. The spokeswoman said five people were lightly injured by riot-dispersal means. The PA magistrates' court has sentenced on Thursday Quds Press reporter Mohammed Mona to three months imprisonment in absentia as he is currently held in Israeli prisons. The Magistrate's Court in Nablus has sentenced the journalist Mohammed Anwar Mona, 30, in absentia to three months on charges of incitement, family sources told PIC correspondent. The family declared their total rejection to the court's rule, considering it a political decision that aims to silence Palestinian citizens and journalists in particular. The family called on all international and local institutions to intervene to stop PA flagrant violations against journalists and particularly their son. The journalist Mohamed Mona was detained in Israeli jails in August 2013 where he spent six months in administrative detention for the second time in a row. 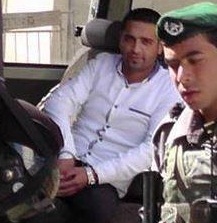 Mona was arrested several times where he spent 5 years behind Israeli bars and 4 months in PA jails. 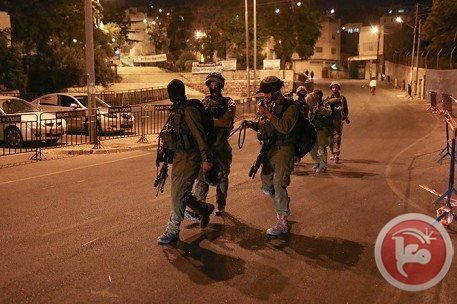 Israeli occupation forces (IOF) rounded up 14 Palestinians including a minor, a journalist, a woman and two liberated prisoners during raids on Nablus and Al-Khalil at dawn Tuesday. Local sources said that the soldiers nabbed 12 Palestinians in Al-Khalil city and nearby villages including two liberated prisoners who were arrested in Dura town. They said that a 15-year-old boy was detained in Jabal Jawher while the woman, Tahani Abu Mayala, and the journalist, Hamza Al-Salayama, were detained at the Container roadblock near the Ibrahimi Mosque. 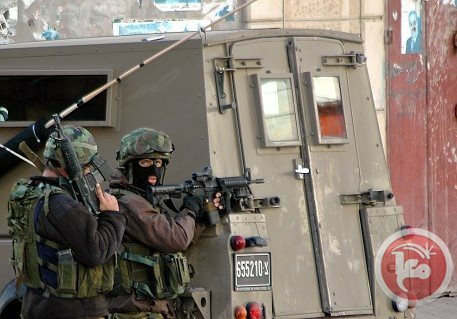 In Nablus, eyewitnesses told the PIC reporter that IOF soldiers raided western Beita village and detained two young men after thoroughly searching their homes. They said that the soldiers deliberately wreaked havoc in both homes and in other houses searched during the raid. 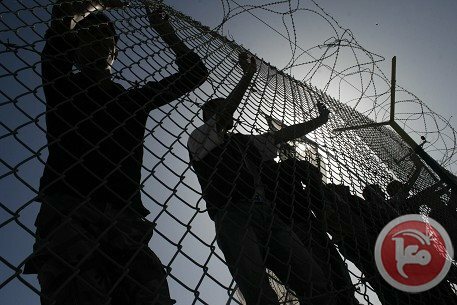 Six-member Malaysia media delegation managed to enter the Gaza Strip on Sunday night via the Rafah border crossing with Egypt after several hours of delay at the Egyptian side of the terminal. The delegation members were received on arrival by Omar Siyam, the director of Aman Palestine – Malaysia Institute. Siyam said that the delegation, comprising Malaysian journalists, would stay in Gaza for around two weeks in a solidarity visit. He added that they would write reports on the suffering of the Gaza population due to the siege. Rafah border crossing has been working since Saturday after 50 days of closure and is expected to be closed again by the end of the day Monday. The general department for borders and crossing said in a statement on Monday that the Egyptian authorities allowed the departure of 735 Palestinians on Sunday. It added that they comprised patients, students, stranded persons, holders of Egyptian passports, and humanitarian cases. It added that those authorities returned 21 passengers without mentioning any reason for the step. Thousands of stranded passengers hope that the Egyptian authorities would extend the opening of the crossing. Egyptian authorities on Sunday denied entry to a Malaysian delegation seeking to enter the Gaza Strip through the Rafah crossing, Gaza government officials said. Palestinian officials said eight solidarity activists from Malaysia attempted to cross through to Gaza four times, and that on the fourth time they were deported. The officials denounced the Egyptian actions, saying the Malaysian delegation was set to provide Gaza residents with humanitarian aid through the Organization of Islamic Cooperation in Gaza City. Egypt opened the Rafah crossing to special cases for a three-day period starting Saturday. The crossing is the principal connection between Gaza's 1.7 million residents and the outside world since Israel's imposition of an economic blockade in 2007. There have been frequent closures of the Rafah terminal in recent months due to political unrest in Egypt and violence in the Sinai Peninsula, placing an added burden on Gaza Strip residents. After the July ouster of president Mohamed Morsi, Egypt's army has repeatedly closed the Rafah border crossing and destroyed hundreds of tunnels that Gazans used for years to import fuel, building materials and other goods. The Israeli occupation forces (IOF) raided on Saturday afternoon the village of Bab al-Karama, few hours after its establishment in Jeftlek town north of the city of Jericho, and arrested activists. Youth activist Ayman Bani Odeh told PIC's reporter that "a large military force raided the village, which was set up in a Turkish archaeological castle in the village of Jeftlek al-Ghoureya, and arrested the two activists Fathi Khaddarat, spokesman for the Save the Jordan Valley campaign, and Ala Bani Odeh." The Israeli force has also confiscated foodstuffs and blankets brought by the activists to the place. The activist added that the IOF soldiers surrounded the place, and gave the young men ten minutes to evacuate before they use force. However, the steadfastness of the young people and the presence of journalists forced the occupation forces to withdraw from the place. He said the IOF closed all the roads leading to the area and held dozens of activists and journalists after confiscating their mobile phones so that they could not reach the protest village and could not contact the media. Dozens of young activists announced on Saturday the establishment of a Palestinian village in Jeftlek in the central Jordan Valley and raised Palestinian flags. 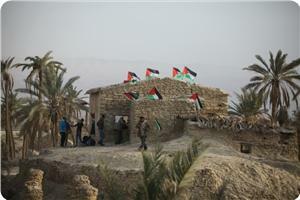 The activists set up the village to stress their refusal to relinquish any inch of the Jordan Valley, and their rejection of the ongoing negotiations between the Authority and the occupation. Israeli police used force on Saturday to break up a Palestinian protest march in occupied East Jerusalem, injuring several people including two journalists, news photographers said. 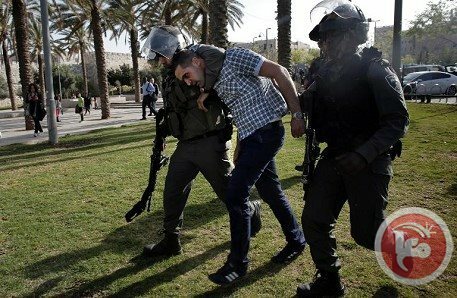 The Israeli forces arrested seven Jerusalemites and injured dozens others with rubber bullets and shrapnel of sound grenades while suppressing a march on the occasion of “Earth Day”. Wadi Hilweh Information Center was informed by the ambulance of Red Crescent that eight injuries have been transferred to the hospital for treatment where the most critical was a serious injury in the eye with a rubber bullet and was transferred to Al-Maqased hospital and then to Hadassah Ein Kerem. Mohammad Zboun was also injured in the face, Bayan Jo’beh was injured in her leg by shrapnel, Um Abed was injured with shrapnel her thigh and two children were also injured in their limbs. Palestinian flags and chanting slogans on occasion of Earth Day, the Special Forces attacked the participants from behind and heavily fired sound grenades and rubber bullets towards them; the forces then deliberately to suppress all the gatherings in Salah Eddin Street. 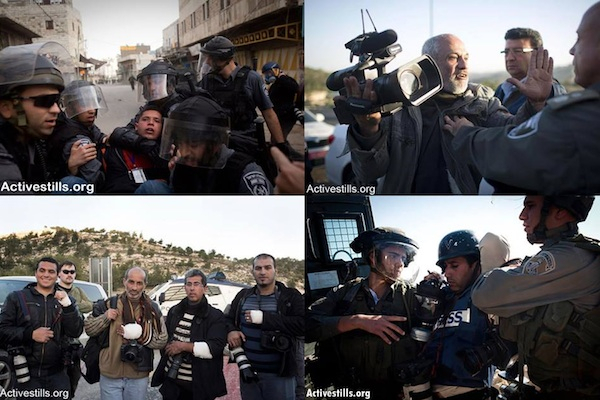 The forces also managed to disrupt the work of journalists and paramedics by chasing and pushing them as well as verbally abusing them; note that five journalist photographers and three paramedics were injured. Wadi Hilweh Information Center explained that the most critical injury among the journalist photographers occurred to Ahmad Gharableh as he was injured with a sound grenade that directly hit his forehead and he was transferred to the hospital for treatment. 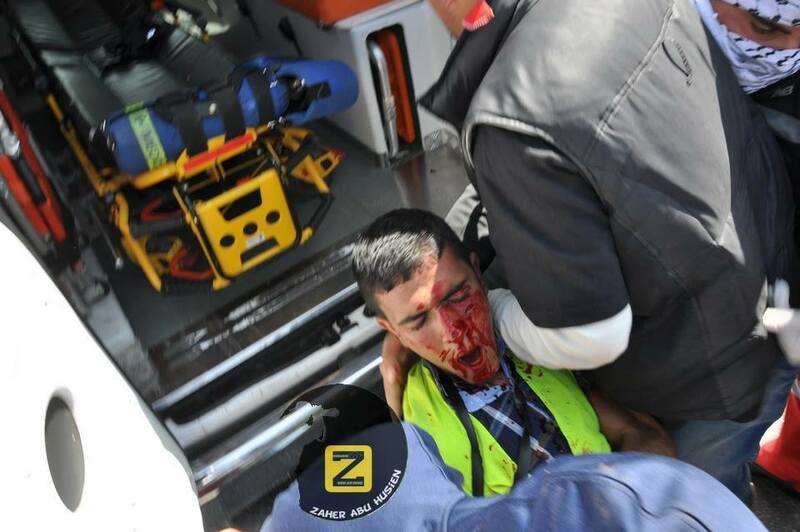 The Center explained that he was injured just minutes after the march started which confirms the fact that Israeli forces are targeting journalists. Also, photographer Jamil Qadamani was injured in his leg, Suleiman Khader was injured with two rubber bullets in the chest and the leg and photographer Mohammad Asho was also injured. Three paramedics were injured in the clashes; they are: Marwan Suleiman, Fouad Obeid and Eyad Abu Sneineh. The Israeli forces raided the “Mu’aqat” commercial store in Salah Eddin Street and were deployed in both floors. They randomly fired sound grenades inside the store which led to the injury of several citizens with a state of fear. In terms of arrests, the Israeli forces arrested seven Jerusalemites including the Jerusalemite activist Samer Abu Eisheh as he was severely beaten and his clothes were tore as a result of the assault. The forces also arrested the Jerusalemites merchant Munther Hirbawi, Ahmad Masri, lawyer Tarek Assouli and the 13-year old child Wahj Alhaq. In the afternoon hours, a group of Jerusalemites managed to demonstrate in the courtyard of Damascus Gate and after few seconds of chanting slogans, the Israeli forces attacked them and randomly fired rubber bullets and sound grenades towards them; note that dozens of citizens were present in the area which led to several injuries among them. Israeli forces hit a journalist with a tear gas canister during clashes in the Jerusalem governorate as Palestinians marked Land Day, a local popular committee spokesman said. Hani Halabiyya told Ma'an that Palestinian journalist Rami Illariyya, who works for al-Quds newspaper, was targeted by Israeli troops and hit with a high-velocity tear gas canister in al-Eizariya. Dozens of youths were hurt by tear gas and rubber-coated steel bullets during clashes with Israeli forces in al-Eizariya and nearby Abu Dis, Halabiyya said. He added that Israeli forces arrested 18-year-old Ahmad Khalid Warrad during the clashes, which lasted for over three hours. Land Day commemoration marks the death of six Palestinian citizens of Israel, who took part in a general strike in protest of an Israeli decision to confiscate privately owned Palestinian lands in 1976.